It seems like this day of the week keeps popping up faster and faster. Even though a week is and always will be exactly 10,080 minutes. There's no escaping the space-time continuum. And there's no escaping these Installation 01 weekly updates. 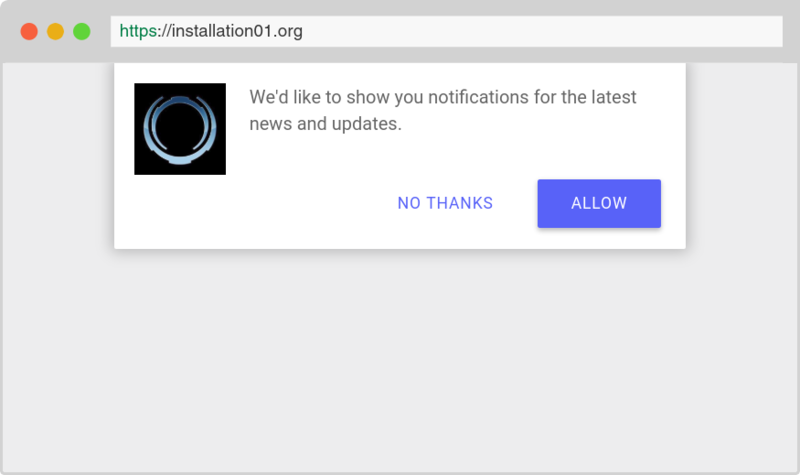 You've probably already seen the popup since it annoys you the second you load the page. We don't have a mobile app, nor will we ever have a mobile app. But the website will function as a webapp in the future for stats, fileshare, managing friends, and anything else you could think of-- including notifications. You'll even be able to add it to your phone's homescreen like a regular app. But until that day comes, we can still send you weekly updates, streams, and even an announcement for when the closed alpha drops at some point within the next two years. Yep. We're still looking for a dedicated effects artist. This is the third time I've had to copy and paste this exact same section. At this point it's getting ridiculous. This is a cry for help. We're going to leave this here until an effects artist joins the team. So you can skip to the next section if you aren't one. We need someone to craft muzzle flashes, vehicle particles, weather effects, explosions, and other things of that nature. Also a quick reminder we will never be accepting any applications without a portfolio of some kind. We have to set the bar somewhere. We also are not and will never be accepting applications for QA testing. What I like to say is, "If you have to ask, you're not getting in." Welcome to Conception With Isaac. Isaac: "The concept artists have been hard at work this week." 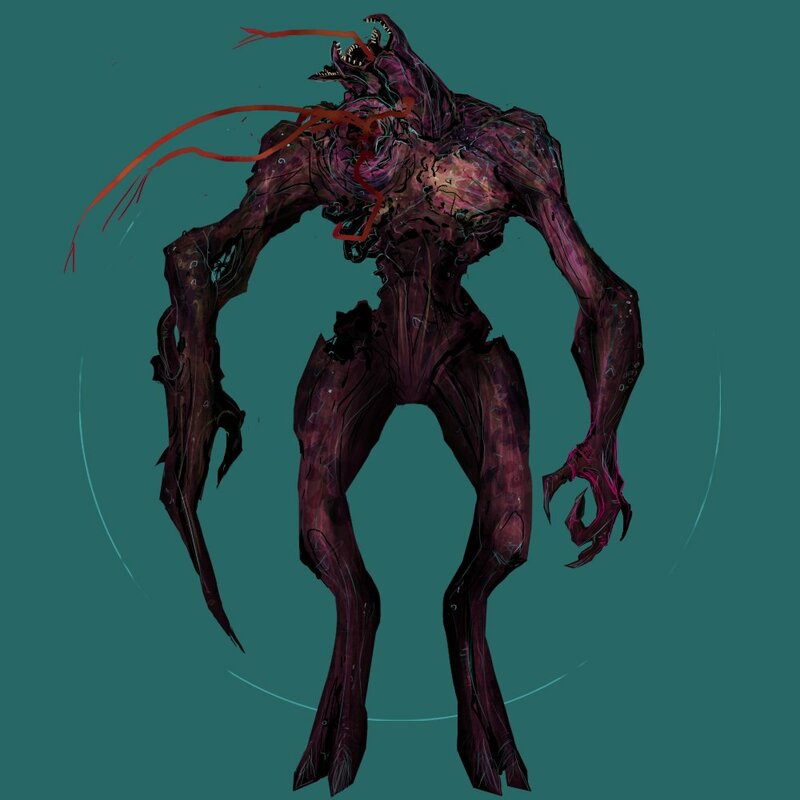 Isaac: "Ramirezoid placed this horrific infected elite into supine position for our art team to dissect. Playable elites are still a long way off, as we want to take our time to develop a truly awe inspiring take on the mighty Sangheili, both living and undead. We will be as transparent as possible with the elite development because it will take us a while to do the Dinos justice, but we want to ensure you guys know we are working on them." Isaac: "Qiu has started on covenant vehicles, making changes as he sees fit. Note the beefy bumpers on the wraith, boosting into enemies will be a treat. 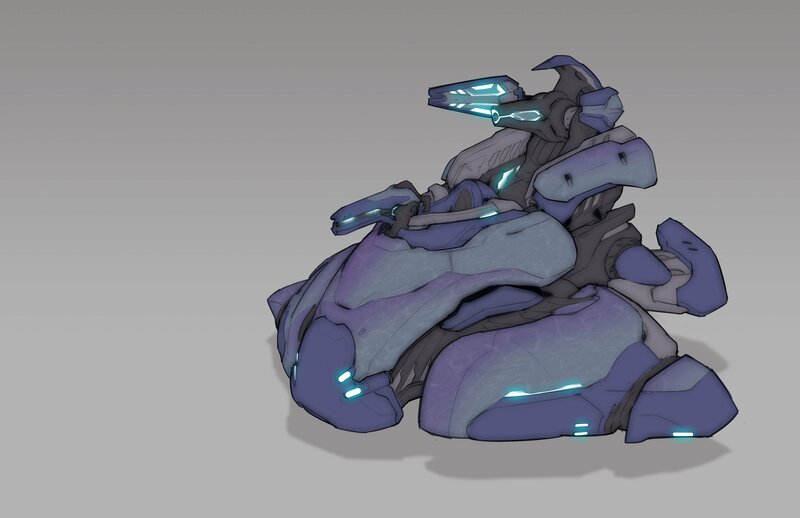 We are embracing a more layered look for the chitinous armor on Covenant assets, while trying to avoid entering a world of noisy detail that detracts from the primitive shapes that allow for easy identification of assets at distance." This has been Conception With Isaac. 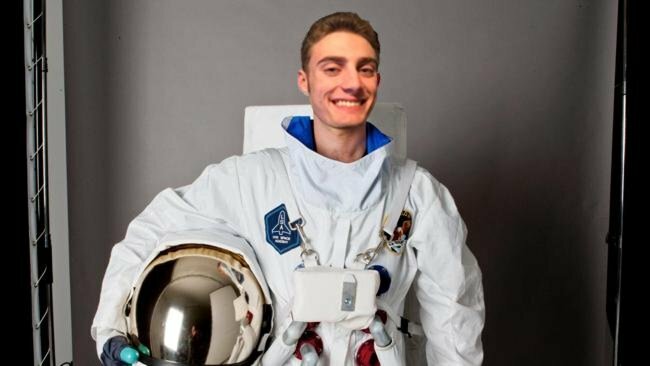 Bean sees what Elon Musk is doing over at SpaceX and he wants in. All Installation 01 resources have been diverted into our space division. We'll be looking for rocket scientists and engineers to help us on our mission. If you know anyone who is either of those, shoot us an email. That's all we have for you this time around. Actually, one last thing. We're not doing anything for April Fool's. So don't worry. There won't be any kind of jokes or tricks. You don't even have to be on your toes. Rest assured, there will be nothing we do to fool you tomorrow. Nothing at all. We really want to hammer that point in. No April Fool's pranks. This is both a promise and a guarantee. We will also be having yet another Q&A live stream Monday night at around 10:00PM EDT on YouTube, Twitch, and Mixer. Pick your poison below. I would flip a table. Possibly my computer. Nah, release an old build saying it's the Alpha. Preferably one we haven't seen before but with the current UI, so it takes longer to realise the bamboozle. Hold up, are you telling me there's flood in this game?! Wish I could help you guys out in the effects artist department, I've got a bunch of experience but no portfolio of time to put one together, as I'm already working full time (in my free time, after my day job) as lead developer for my own studio. I would love to be part of this, and anyone who has the time absolutely should apply. I'm sure they will thank you. I'm a senior in high school about to graduate soon, so I don't have time either, but I have an unusually broad amount of experience for someone my age. I'd love to help with the effects, but again, my problem too is time. any chance you guys can tell us how close we are to the alpha if you guys are even releasing it this year if not then well jus lemme know.